I've said it before and I'll repeat it now: someone needs to follow me around and punch me every time I buy something. Seriously, I have a problem. I love eyeshadow palettes. Even if I have dupes of all the shades in my collection, I will somehow justify it to myself. I've definitely cut back in the past few months and I am only trying to buy non-neutral palettes, but I had a major splurge last weekend and I'd like to share them right away! I bought the first two at Ulta and the last one I preordered months ago and it finally arrived. I did not think that I would pick this up. 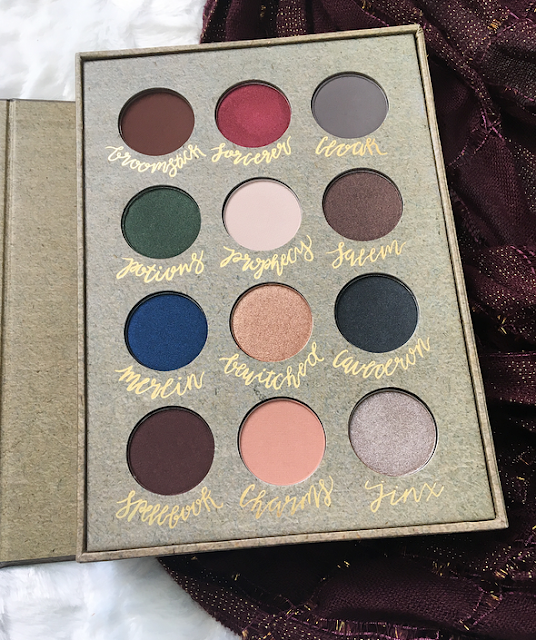 I even included it in my first Antihaul post because the warm berry tones did not attract me at all. However, in person I just couldn't get away from it. I covered up the two brightest shades and the palette took on a whole new look for me. The more neutral shades are definitely ones that I would reach for and I would use at least one of the darker, reddish colors in Red Ochre. Anastasia's eyeshadow formula is probably my favorite and the packaging of this is so beautiful! I can't wait to try it out and see how it compares to my beloved Anastasia Master Palette. I have a crap ton of neutral eyeshadows, but this small little palette with nine different shades just seems perfect. It has a good mix of mattes and shimmers, is small enough to travel with, and gives some versatility in a small package. The only gripe I have with it is the price--for about ten dollars more you could get one of the Chocolate Bar palettes, which include a lot more product and shades. The moment I saw this palette I put it on my shopping list. 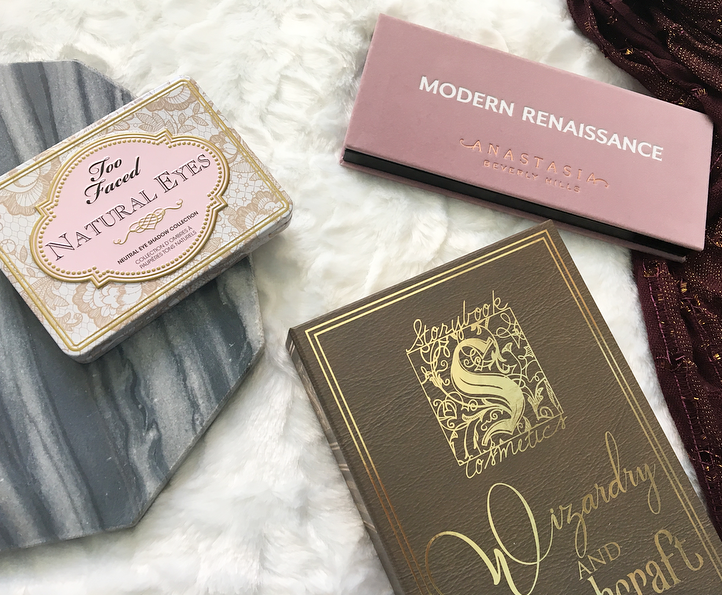 I always thought it would be cool to have a palette that looks like an old book, and Storybook Cosmetics went ahead and did just that! It's somewhat inspired by Harry Potter and the shades include both colors and neutrals. I'm especially gravitating toward those gorgeous taupe, emerald, and red shadows! I'm so excited to try this out and review it. Though it's from an indie brand, the quality seems top-notch in terms of both packaging and shadows. Out of these three palettes, I'm definitely most excited to use the Wizardry and Witchcraft palette! I'm a big Harry Potter nerd and I love trying out new eyeshadow formulas. What is the palette that you most recently bought? 18 comments on "Three New Palettes"
I totally understand you! I'm obsessed with eyeshadow palettes and lipsticks. I wanna buy everything without thinking, haha. ABH MR palette is something mysterious for me. I want it but when I had the chance to buy it, I didn't, because I was just not impressed. Since then I'm questioning myself if I decided right or wrong, haha. 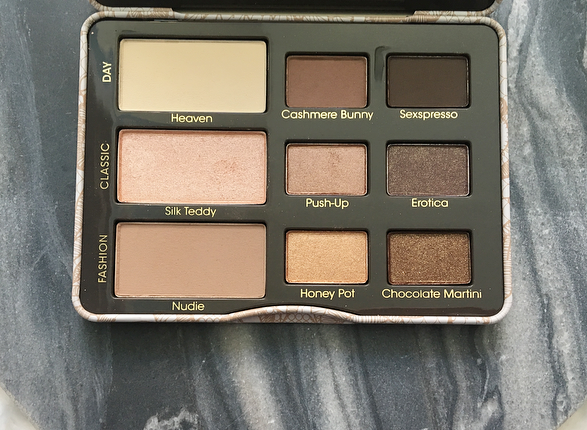 I have the Too Faced Natural Eyes palette and I love it to bits - it's amazing!!! They all look so nice! I've been going back and forth with myself if I need that ABH palette. I adore the Modern Renaissance palette! I've even found myself using the berry tones which I didn't expect. Their formula is my all time favourite especially the Ultra Mattes. The shades in the Modern Renaissance palette are stunning! So happy that you picked up the ABH palette! It's one of my faves! Also, the Storybook palette looks really fun! I need! I've been debating whether to get the Modern Renaissance palette for a while now and I think this has been the final straw, I need it!!! 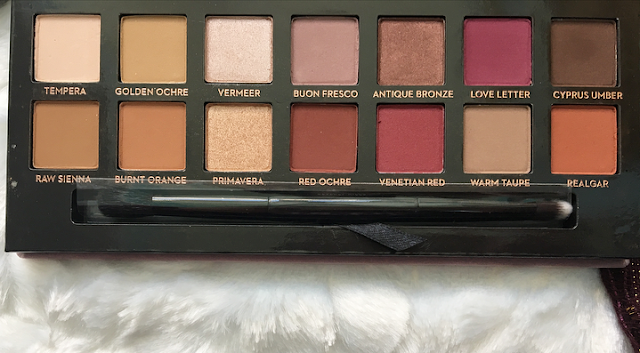 I have the ABH Modern Renaissance palette and the quality is absolutely amazing and the shadows blend so well, you will love it!